Are you looking for the New Android Phones with New Technology and Latest innovations? Android phone market has the variety of Smartphones in this year. But if you are looking for the fresh and excellent phone, you should wait for the Upcoming Android phones. There are some great and exciting Smartphones announced earlier, and it will be released in the upcoming months. If you are in the urge to buy New Android phones, couple of months wait will bring you shiny new Handsets with latest features. Let’s see the 5 best Upcoming Android Phones for 2013 that are worth to upgrade your old ones. After the Acquisition of Google, there is no great phone from Motorola. Rumours suggested that Motorola working on the biggest development and it will their Flagship model with the guidance from Google. Motorola Boss Dennis Woodside has popped the few details about he Moto X and the phone won’t debut until late in the third quarter. Motorola is known for its great hardware and good performance from that. The Moto X has so many innovative features , the self-awareness capability is one of them. Many sources suggested that Motorola is hardly working on this feature. For example, this phone will enable certain feature when you take out the phone from pocket and It will turn on the camera app automatically when you are going to take a picture. This feature looks promising and many dubbed the Moto X as the Google’s Next Big Thing. There is no further specifications about the Moto X but the hardware capabilities are up to the standard. It may have the Stock Android OS partially not like the nexus one, and it’s worth waiting for. 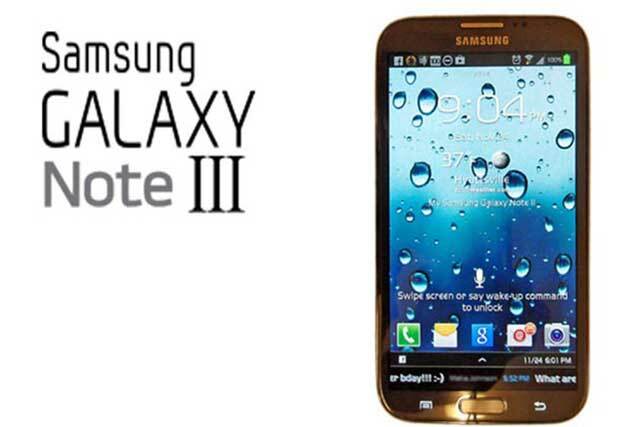 Currently Samsung is working on the third version of the phablet “Galaxy Note 2”. There is many leaks suggested that it is going to be the very powerful phone, runs on the new Qualcomm Snapdragon 800 Processor. Two days before the leaks from the Samsung research division revealed and confirmed that the Note 3 will feature an 2.3GHz quad-core Snapdragon 800 processor and its internal model number will be SM-N900. It sports a 6-inch full HD Super AMOLED display, a 13-megapixel camera, Android 4.2.2 Jelly Bean. Also the Note 3 will borrow some cool features from its flagship smartphone Galaxy S4. Samsung hasn’t officially announced the features and specifications of Galaxy Note 3 yet. But likely to be announced at IFA trade show in September. HTC’s Upcoming Phablet named HTC One Max from the codename of HTC T6. The Struggling HTC is doing well with their flagship model HTC One which has the exciting features and sense 5 UI. HTC also in the process of making the mini version of the HTC One as a HTC One Mini. HTC’s 5.9-inch phablet project is to counter the Samsung Galaxy Note 3. HTC has no phablet models in their catalogue, so they are coming with One Max. According to the rumours, the phablet has bodyshell with a 5.9-inch 1080p Full HD display, a Qualcomm Snapdragon 800 quad-core processor at the clock speed 2.3Ghz and will have a big 3,300mAh battery. HTC one Ultra pixel camera technology and booms audio. It will also have Stylus pen with great features. Sony has jumbed into the Smartphone competition to catch the top spot by launching the Xperia Z in this year. 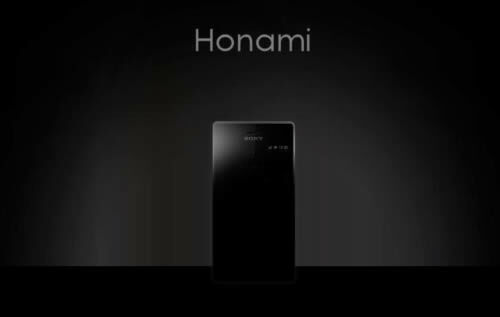 Sony Honami or i1 is their upcoming Android phone. There is no news about price, the Sony i1 or Honami is set to be released sep or october.